Adam is a Financial Advisor at Atlas Wealth Advisors in Dallas, Texas. He earned his B.B.A. in International Business from the University of Texas at Austin with a minor in Spanish. For the year immediately following graduation, he worked overseas creating investment guides on developing countries (Turkey, Romania, and Azerbaijan). 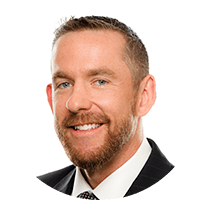 In January 2005, Adam began his career as a financial advisor, and since then has obtained the Certified Financial Planner® and Accredited Estate Planner® designation. Adam highly values adventure, family, friends, and faith. Athletic endeavors, like coaching his daughter’s soccer team or participating in triathlons, and outdoor pursuits, such as the Texas Water Safari, tend to occupy his free time. He lives in Murphy, Texas with his wife, Lori, and his two daughters, Leah and Ansley. Adam is a strong advocate for Leadership Richardson (a program of the Richardson Chamber of Commerce), and he has enjoyed leading successful fund-raising efforts locally for Carry the Load and the Richardson Symphony Orchestra.